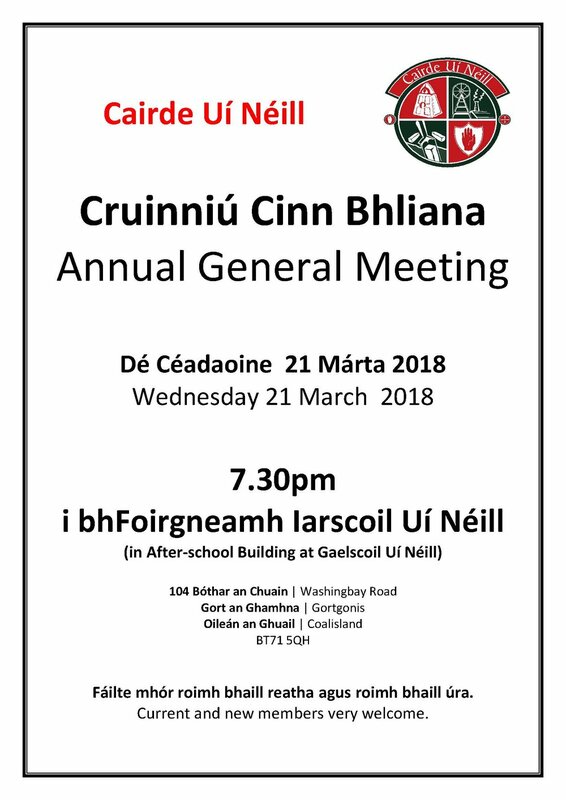 Book your tickets early to avoid disappointment for the Gaelscoil's first, whole-school production (all pupils involved) in the Craic Theatre on Wednesday, 27th March and Friday 29th March @ 7.00pm. 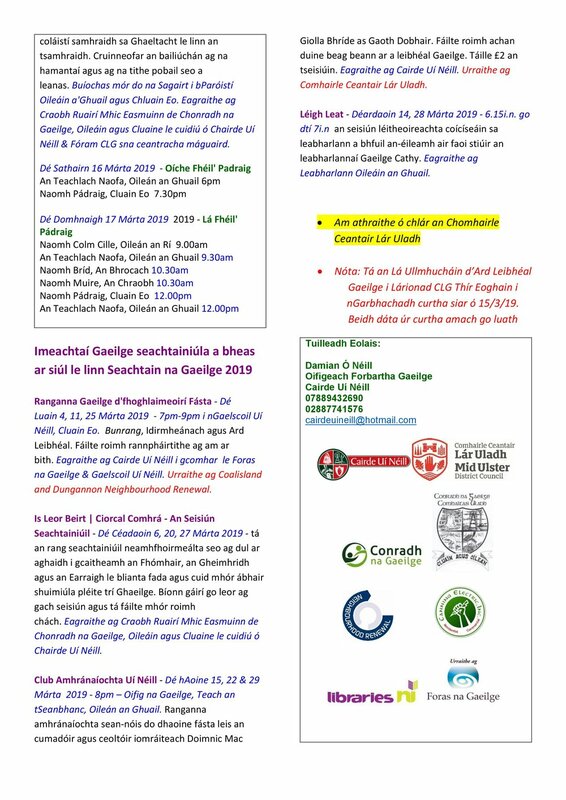 Tickets available from Craic Theatre Box Office from Friday, 15th February @9.00am. 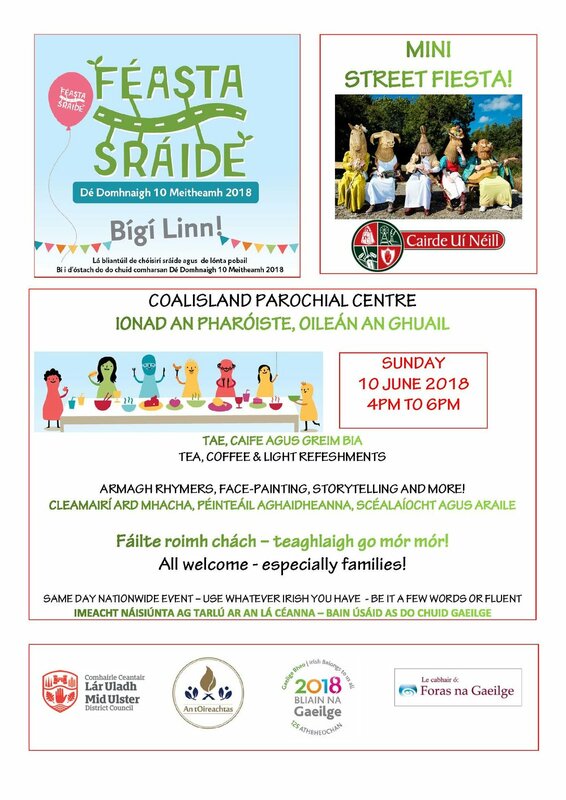 Cuirigí bhur dticéid in áirithe go luath ionas nach mbeidh díomá oraibh! 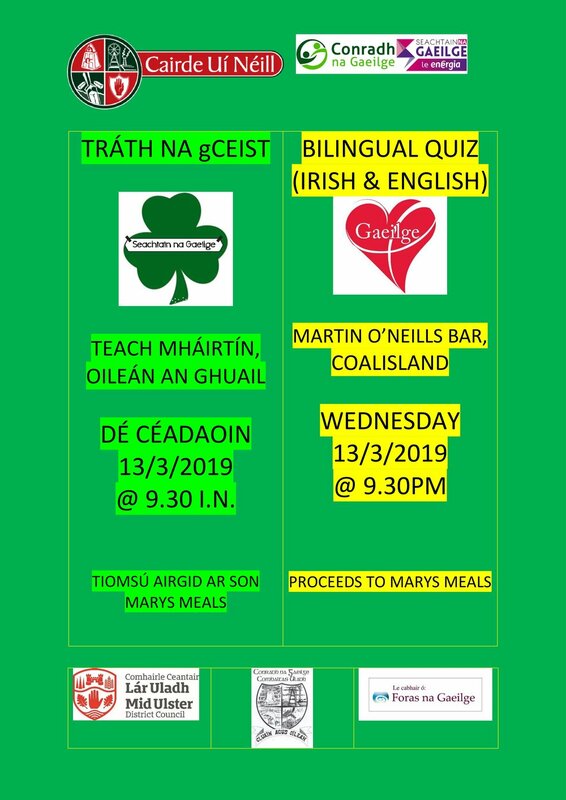 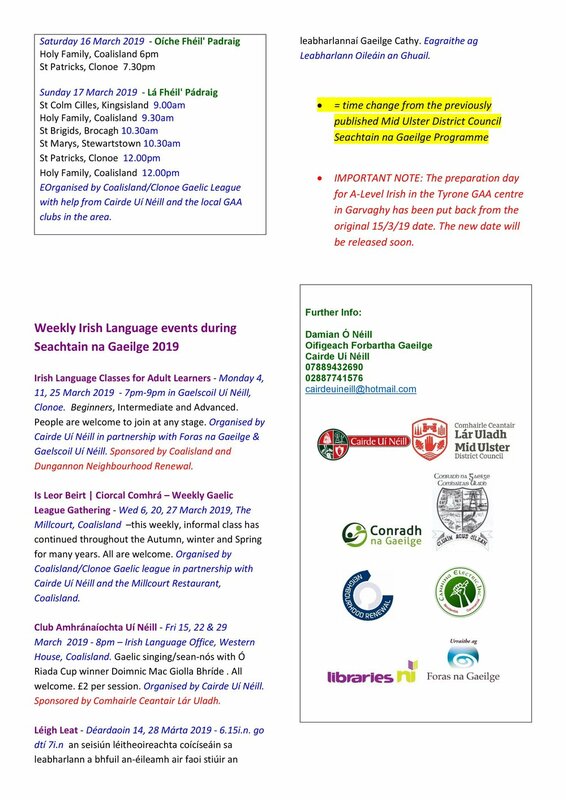 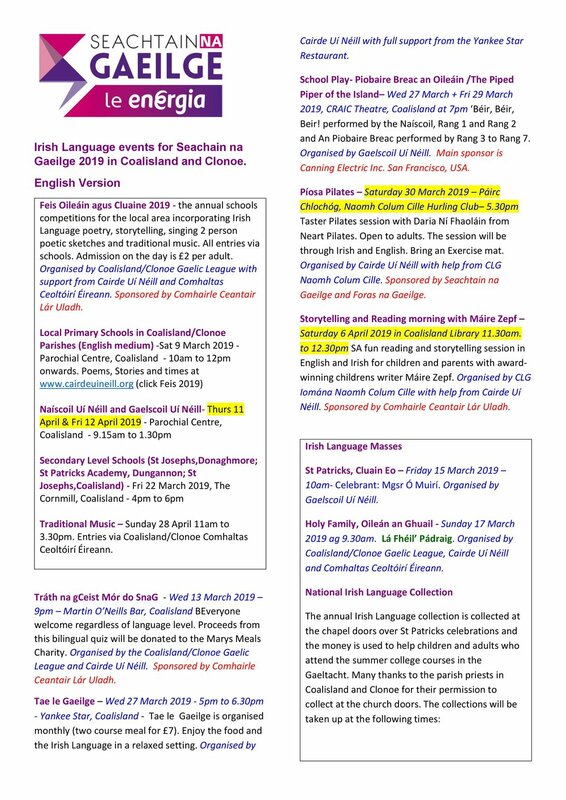 Is é seo an chéad seó againn a bhfuil gach dalta i nGaelscoil Uí Néill ina rannpháirtí ann. 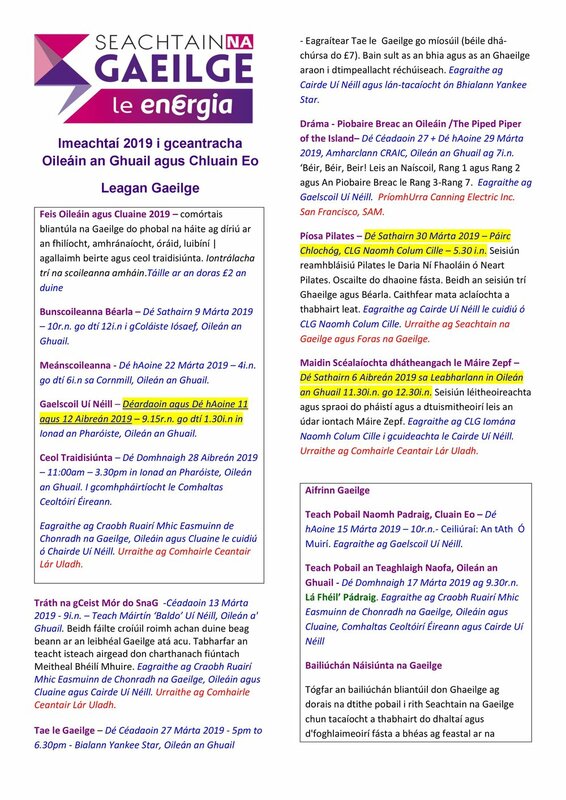 Beidh an seó ar siúl in Amharclann na Craice Dé Céadaoin, 27 Márta agus Dé hAoine 29 Márta @ 07:00 agus tá ticéid ar fáil ó hOifig na dTicéad in Amharclann na Craice ón Aoine 15 Feabhra @ 09:00.